Atlanta tennis fans looking to get a sneak preview of the future of American tennis are in for a treat on Saturday as the 2015 BB&T Atlanta Open gets underway with qualifying matches that will run all day. Trent Bryde, a 15-year old local junior player who was named to the Team USA National junior team, won five pre-qualifying matches in the BB&T Wild Card Challenge, including wins over college players, Kyle Montrel and Georgia Tech rising sophomore, Michael Kay to earn his spot in the qualifying draw. Bryde takes on ATP World Tour veteran, Catalin-Ionut Gard of Romania. Additionally, two young Americans, that won the French Open and Wimbledon junior singles titles are looking to advance in qualifying. 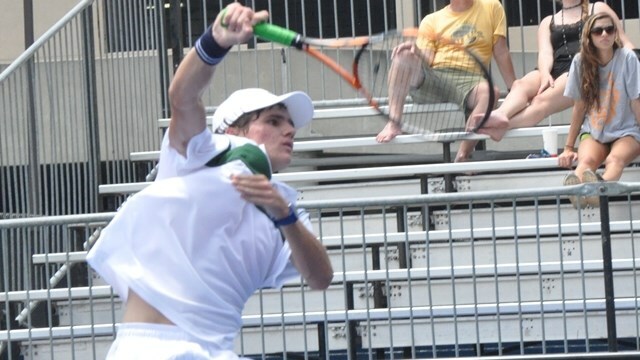 2015 French Open Boys’ champion, Tommy Paul of New Jersey is set to take on another Atlanta product in Walker Duncan, who has given a verbal commitment to play tennis at the University of Georgia. Big serving, 6’10” Reilly Opelka, of Florida, who won the 2015 Wimbledon Boy’s Singles title earlier this month is also entered and he takes on a up and coming Japanese player in Shuichi Sekiguchi on Saturday morning. Jared Donaldson, another young American, that has already turned professional takes on an accomplished ATP World Tour doubles player in Gastao Elias of Portugal. Saturday play will take place on four courts including the AJC Grandstand Court. Matches start at 10 am and run throughout the day. Come out to Atlantic Station and see some of the best young tennis players in the world looking to earn a spot into Atlanta’s ATP World Tour event.